We help clients prepare for road races, time trials, charity rides, and long group rides with friends. We also help cyclists with bike fit and basic riding skills. Scott Toguri McFarlane is the founder of Toguri Training Systems, a Montreal-based facility that helps cyclists of all levels achieve their goals. 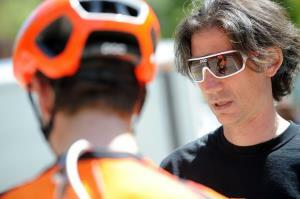 He is also the Principal Owner of Silber Pro Cycling, the #1 team on the UCI America Tour. His personalized training programs have helped young athletes become professional cyclists and prepare for the World Championships. He has also worked with male and female masters racers, producing National and Provincial champions, while helping others keep up on group rides. "As a coach, my goal is to provide personal attention and the appropriate training programs for people to become better cyclists. That sounds simple, but it is part of my dedication to growing the sport I love." Athletes wanting training programs must have a power meter and commit to 3 months in advance. Success. Coach Scott McFarlane has been notified of your message.